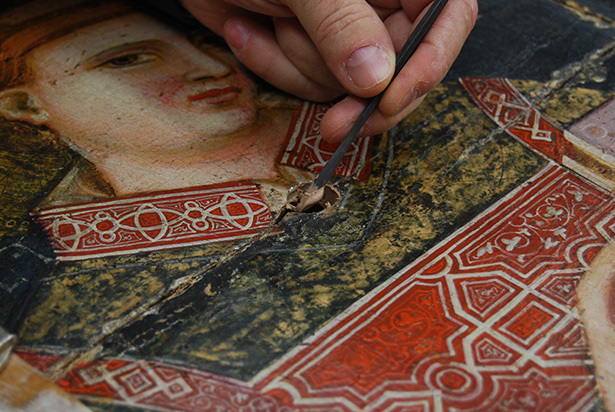 The Panel Paintings Initiative is training the next generation of conservators of paintings on wood panels, and including professionals from Eastern Europe is a high priority. 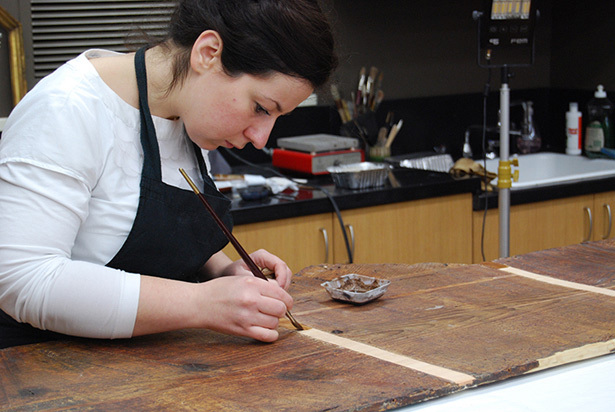 In this post, Polish conservator Aleksandra Hola describes her experience with the program. For as long as I can remember, I have been interested in paintings. Maybe it’s because my mom is a painter and our house was full of art books, the smell of turpentine, and oil paint. As a kid, I would set up my own “workshop” next to hers in our house in Krakow, Poland. As a teenager, I experimented with wood carving, finding it inspiring and challenging. In school I valued the sciences and was even planning to study applied mechanics. 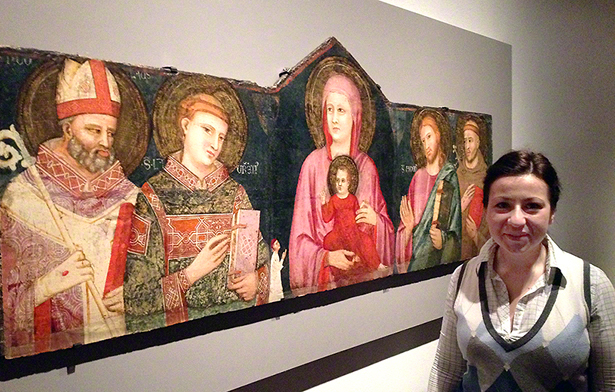 But then I discovered panel paintings conservation, which brings together all of my interests. Fast-forward now to the present day where I am visiting the Getty Museum in Los Angeles to see a panel painting by Pacino di Bonaguida that I helped prepare for the current exhibition Florence at the Dawn of the Renaissance: Painting and Illumination, 1300–1350. How did this happen? I first learned about the Getty’s Panel Paintings Initiative in 2009, just a few weeks before an international symposium held by the Getty. The initiative is an effort to train the next generation of panel paintings conservators before the current generation retires. I applied for financial support offered by the Getty Foundation to attend this meeting of panel experts, a once-in-a-lifetime opportunity for young professionals like me, and my proposal was approved. 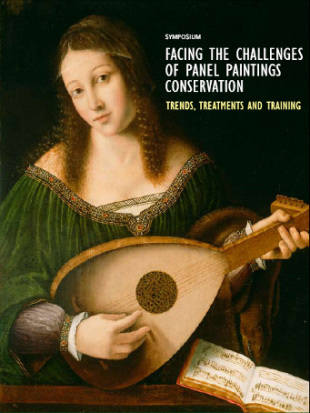 I didn’t expect that in the following year I would organize a training workshop in Krakow supported by the Getty Foundation for conservators and curators who work with panel paintings collections. Nor did I expect that in 2012 I would be awarded a conservation residency, again from the Getty Foundation, for a training fellowship at the Metropolitan Museum of Art (the Met) with one of the world’s foremost specialists in the field, George Bisacca, to help treat some of the most famous and beautiful paintings anywhere. 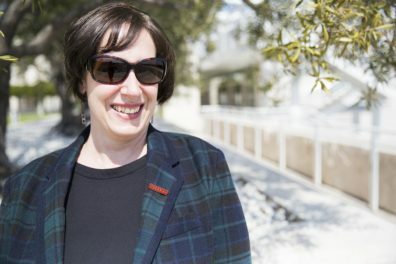 But before I tell you more about my training fellowship, it is worth sharing why the Getty Foundation residencies are so important for panel paintings conservators like me. Even after my academic training, I was missing what is essential in this specialization: practical experience. Academic programs often don’t allow enough time for students to acquire the necessary manual skills. Earlier generations of panel restorers, following a long craft-based tradition, began their training as apprentices in workshops, which allowed them to develop their skills over many years. 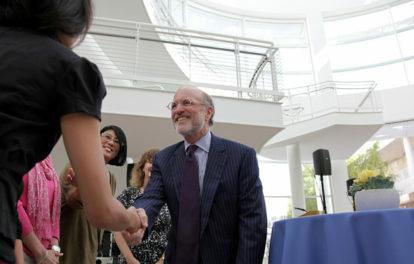 In my Getty Foundation fellowship at the Met, I have had the opportunity to do just that. I started at the Met last spring, and there really was no such thing as an ordinary day. I took part in a number of routine responsibilities in the paintings studio, like condition checks, framing, and building microclimate frames (sealed boxes that stabilize humidity levels to control the wooden support’s natural shifts), while also working on smaller projects such as the removal of cradles (once thought to be helpful but now known to be harmful). However, one of the most exciting and complex long-term projects that I observed and participated in was structural work on the Pacino painting, which is owned by the Walters Art Museum in Baltimore and had been sent to the Met for treatment. This long, horizontal panel is made of a single fir board with a triangular addition on the top. Before we started the treatment it was clear that the panel was thinned, sawn into three pieces and heavily impregnated with wax-resin paste. Unevenness along numerous, roughly glued splits had been leveled with wax and gesso fills, covering up significant areas of original painting layer. 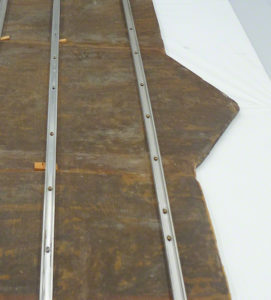 The three pieces of the originally continuous panel were only held together with canvas attached to the reverse, and metal crossbars screwed into the panel. Our main goals in treating the painting were to level the surface, rejoin and reconstruct missing parts, and stabilize the panel. Our first step was to remove (as far as possible) inappropriate, harmful materials used during previous treatments: metal crosspieces, canvas, and the wax-resin paste on the back, as well as in the splits on the front, corners, and sides. I enjoyed our discussion as we started to uncover the back of this panel. We carefully followed tool marks, cuts, woodworm tunneling and any other traces that are clues about the painting’s construction and history. Our investigation revealed evidence that the panel was sawn across the entire back surface after it had been assembled (possibly it was a double-sided painting, and this sawing separated the two painted surfaces). Around the bishop’s cape, the saw blade even went through the front of the painting, causing a wide loss. We were then ready to move to the second step: leveling and gluing the splits and partially reconstructing the missing parts of the wood. Since nothing adheres adequately to a waxy surface, we agreed it would be necessary in this case to shave the edges of the splits. 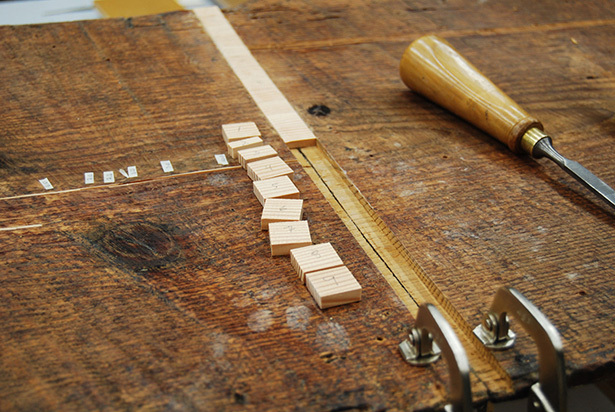 In order to avoid touching the painted surface, V-shaped channels were carefully cut into the back of the panel with a special router bit and filled with precisely measured wedges (made of carefully selected wood whose properties correspond to the original fir). The final and most exciting step in the structural portion of the treatment was joining the three pieces together. At the end, I was amazed at how stable and rigid the panel became. 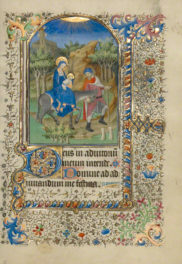 A week after our work was completed, the panel was sent to the Getty Museum for installation in the Florence at the Dawn of the Renaissance exhibition. Now, after visiting the panel here in Los Angeles, participating in its journey, and reflecting on my own part in this process, I am ready to return home to Krakow and continue putting my recent training to use. Text of this post © Aleksandra Hola. All rights reserved. In 2011 I received my PhD from the Faculty of Conservation and Restoration of Works of Art, Academy of Fine Arts in Krakow, Poland. Currently I am a junior member of the Panel Paintings' Conservation Studio, which is staffed by four people. The scope of our unit comprises educational, research, and conservation activities. We offer a comprehensive program of lectures and lab classes designed for students in the master's degree program. We also supervise master's and doctoral projects, as well as individual research related to the technical and aesthetic aspects of panel paintings conservation. We have been able to see many of the pieces of Pacino di Buonaguido at the Art Gallery of Ontario exhibition now running here in Toronto. They are extraordinary works of art.